It is difficult not to be overwhelmed by the emotional force felt when walking through the ruins of the castro of San Cibrao de Las (between the municipalities of San Amaro and Punxín, in Ourense). The excavated part is no more than a fraction of the area it must have occupied at its peak. And, even so, it’s huge. From the top of the hill where this pre-Roman settlement is located, you can clearly see streets, houses and even neighbourhoods of one of the largest pre roman towns in Galicia, aside from Santa Trega (A Guarda, Pontevedra) and Viladonga (Castro de Rei, Lugo). San Cibrao de Las must have been, in its time, a true capital city. The fort captivated many of the leading Galician intellectuals of the twentieth century. Vicente Risco, Florentino López Cuevillas or Xaquín Lorenzo were among the first to excavate in the area, discovering the secret of a huge and monumental complex. The city can be accessed through a solid door in the wall, made of cyclopean stones and once flanked by large circular towers. A main street distributes the space into different neighbourhoods. Among the most outstanding constructions is that of a cistern, excavated a little over ten years ago. Covered by a vault, it collects the waters from an underground mine. The fort was strongly defended and was made up of two walled enclosures, pits, parapets and other defensive elements that added to a strategic situation. San Cibrao de Las occupies a wide, high hill of about 10 hectares, between the rivers Miño and Barbantiño. The view from the top easily justifies the choice of the location to build the settlement, since the view of the region and surrounding land is perfect. 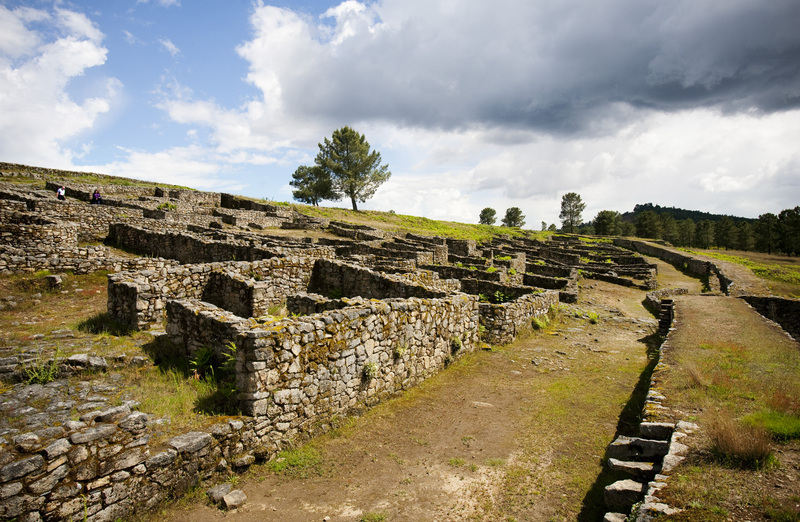 In San Cibrao de Las you can walk through the large excavated area and, also, through the area still buried. It is very interesting to do it alongside one of the guides from the Parque Arqueolóxico da Cultura Castrexa (PACC), the entity that manages the site. This way, it is easier to view and understand what the settlement was at its time of greatest splendour. The fort was occupied for four centuries, between the second century b.c. and the second century a.d., so it received the full impact of Roman colonization. Much evidence of the imperial occupation has been found during excavations, such as votive altars and inscriptions on natural rock outcrops, dedicated to the god Jupiter. The old castrexos of San Cibrao de Las lived off mining exploitation of nearby rivers, hunting, livestock and especially agriculture. They grew cereals and used fruit such as acorns to make flour and, with it, bread. The different periods the settlement went through can be learnt by visiting the interesting exhibition at the interpretation centre, located in a modern building designed by architects Ángeles Santos, Carmen Ruiz and José Carlos Martínez, with a surface of more than 2,900 square metres.